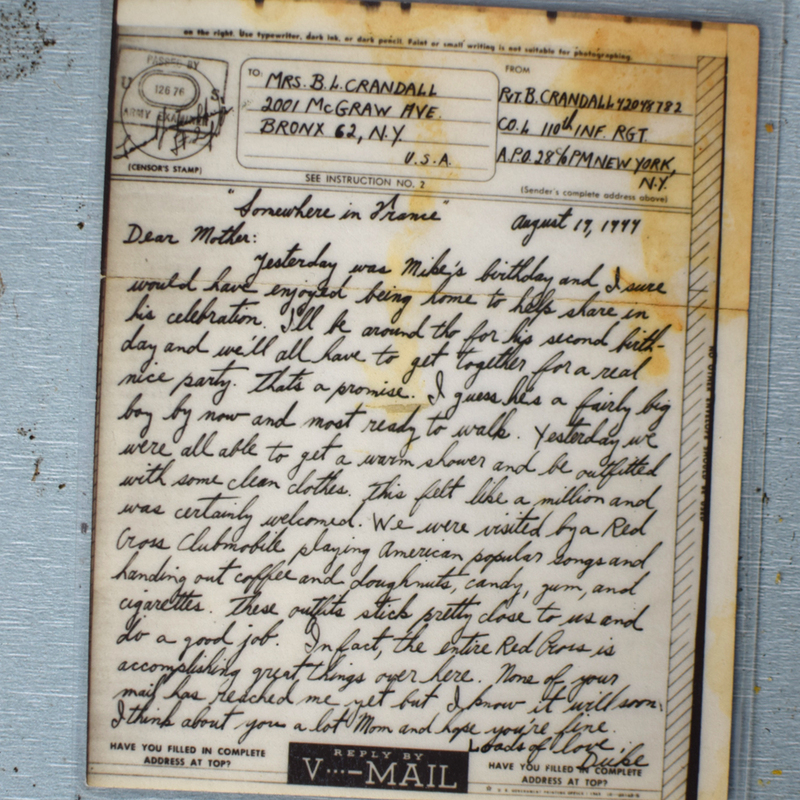 In Speaking with my father, Stephen John Crandall, about my Grandfather Barrett Lowell Crandall, and his service in the Army during World War 2, he showed me these letters written home from the war against Germany and the Axis powers while in France. 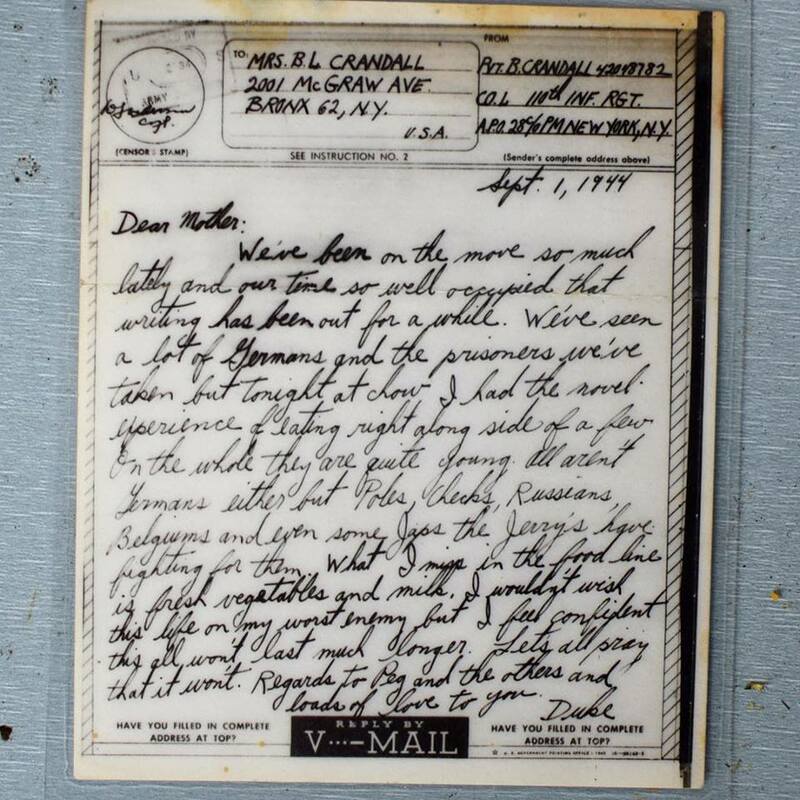 We looked at these written words from before my Dad was even born, prior to dinner one night, 75 or so years later. Both of these Crandall men saw the reality of war with their own eyes. This serves as some kind of folklore from sharing the thoughts, words and feelings of the generations before me, and the world they lived through. Yesterday was Mike’s birthday, and I sure would have enjoyed being home to help share in his celebration. I’ll be around for his second birthday and we’ll all have to get together for a real nice party. Thats a promise. I guess he’s a fairly big boy by now and most ready to walk. Yesterday we were able to get a warm shower and be outfitted with some clean clothes. This felt like a million (bucks) and was certainly welcomed. We were visited by a Red Cross club mobile playing American popular songs, and handing out coffee and doughnuts, candy, gum and cigarettes. These outfits stick pretty close to us and do a good job. In fact the entire Red Cross is accomplishing great things over here. None of your mail has reached me here yet, but I know it will soon, I think about you a lot Mom, and hope you’re fine. Dear Mother, We’ve been on the move so much lately and our time has been so well occupied, that writing has been out for a while. We’ve seen a lot of Germans and the prisoners we’ve taken but tonight at chow I had the novel experience of eating right along side of a few, On the whole they are quite young. All aren’t Germans either, but Poles, Checks, Russians, Belgiiums and even some Japs the Jerry’s have fighting for them. What I miss in the food line is fresh vegetables and milk, I wouldn’t wish this life on my worst enemy but I feel confident this all won’t last much longer. Let’s all pray it won’t. A.P.O. 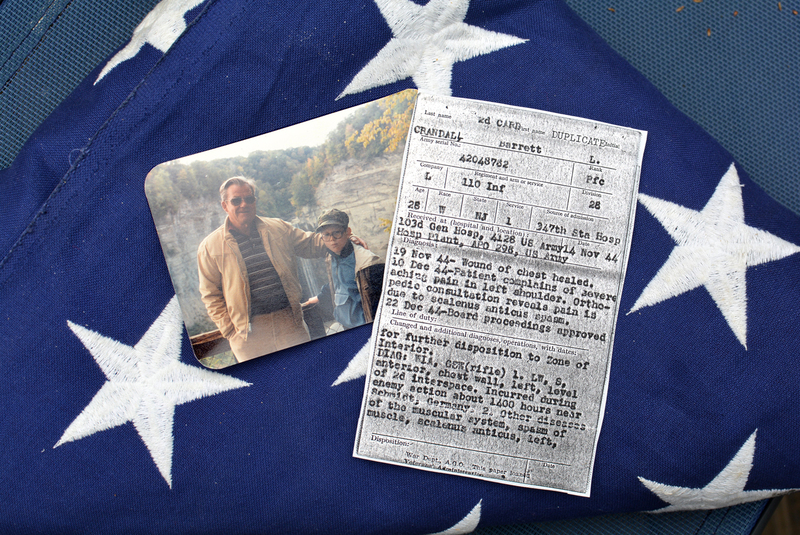 28c/o PM New York, N.Y.
Photo with my Grandfather in Ithaca N.Y, the flag from his memorial service, and a copy of some kind of medical report.